Swallows of Helston is a gymnastic club in Cornwall with approximately 350 members, ranging from around 3 years old to adults. A broad range of classes are run weekly, incorporating all ages, at recreational, display and competitive levels. 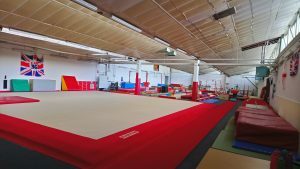 There is a British Gymnastics Membership Page on our website. Direct link to British Gymnastics website and info about the process. The renewal/ join BG page is now up and running. If you have any difficulties please ring the helpline number on the BG website. Whatever your age and ability, gymnastics is a really great way to keep fit; develop strength, flexibility and spatial awareness; build self confidence and make new friends. “As soon as a child is able to walk, they are ready to start gymnastics … Watch your child grow in confidence as they interact with others their own age and explore movements that are fundamental to their on-going growth and development”. Children, young people and adults can participate in gymnastics regardless of their size and / or ability. The sport provides movement opportunities across the age spectrum and comes in a variety of disciplines, class formats, recreational, competitive, individual and team environments. The skills and body awareness learned as part of gymnastics participation will ensure a solid foundation in any sport. Please come along and see us in action.